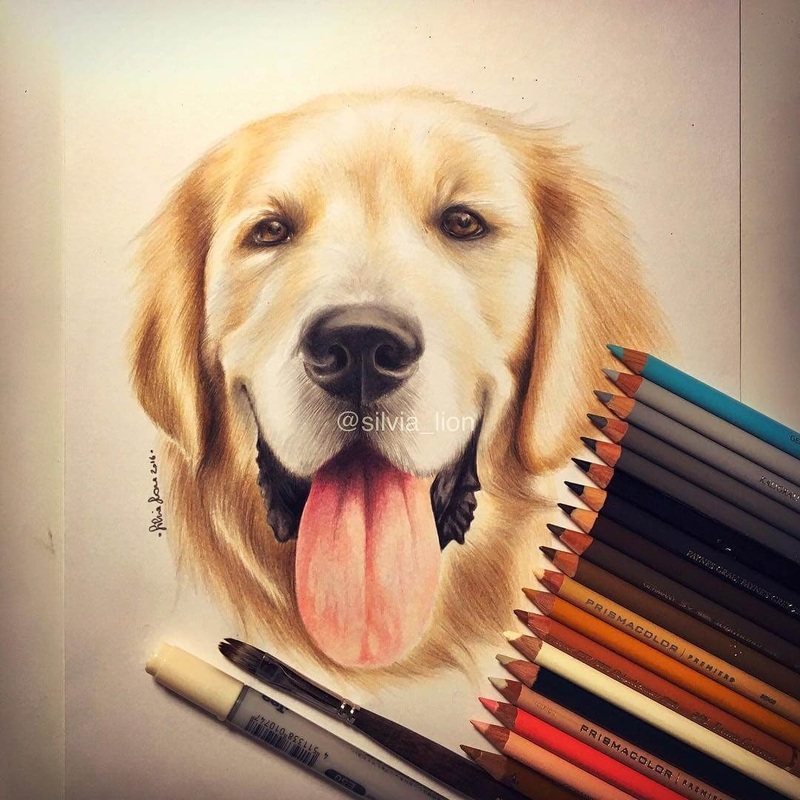 The expression of your favourite furry friend, looking back at you through a drawing. 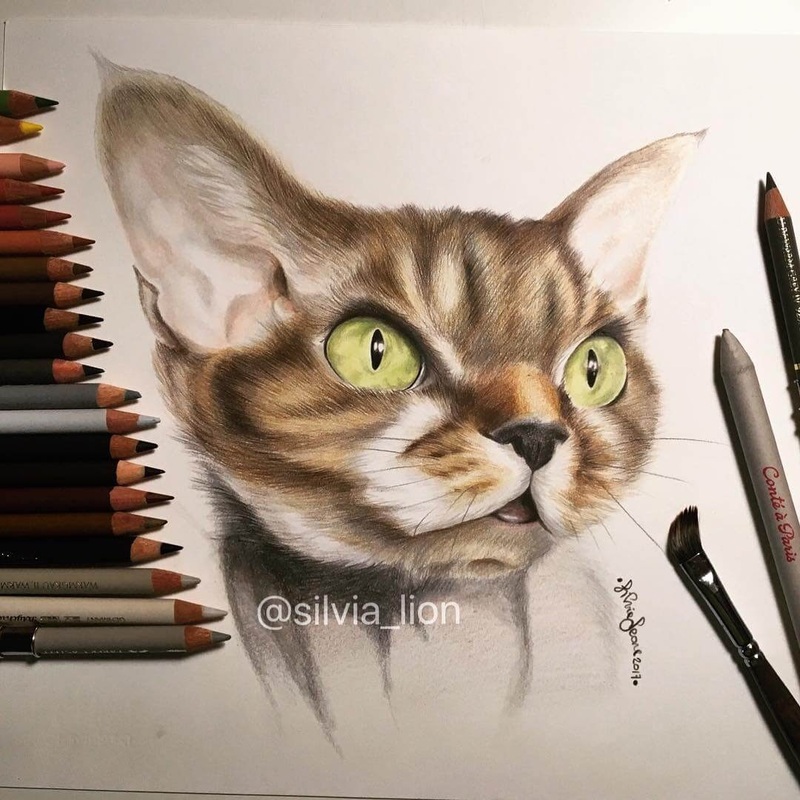 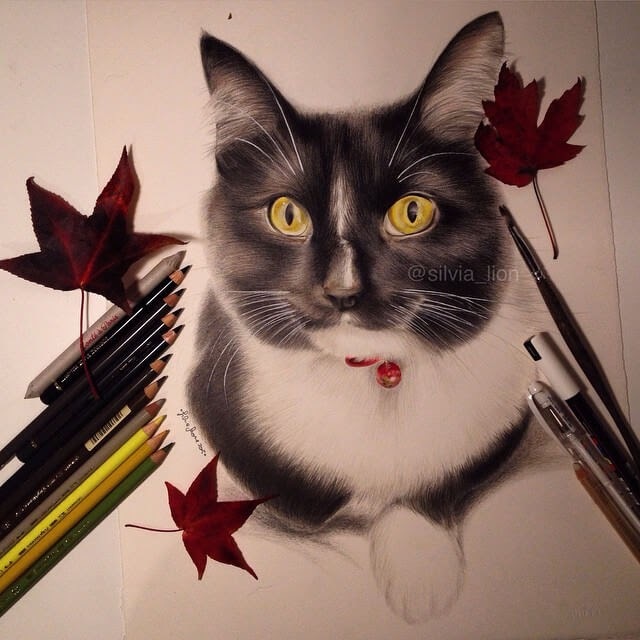 Silvia Leone️️ is an Italian Architect and Pet Portrait Artist, her surname translated to English means Lion, a cat, that fits perfectly with the subject matter of this post. 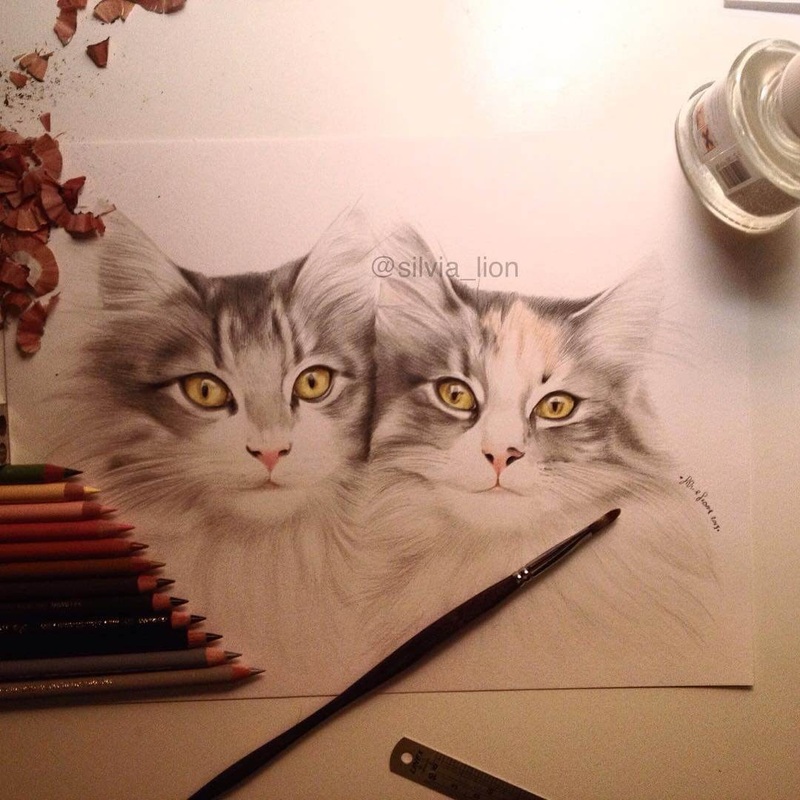 The following is a translation of an extract from Leone️️'s site: "I mainly use colored pencils, faithfully reproducing every detail and trying to capture the personality of each animal." 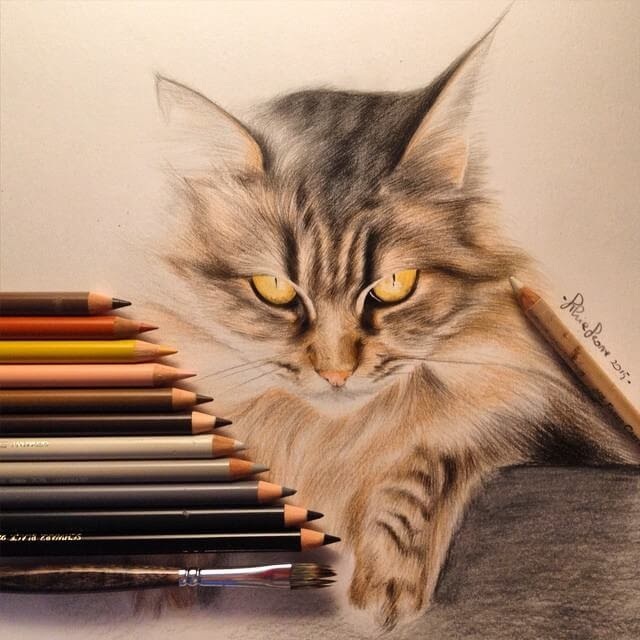 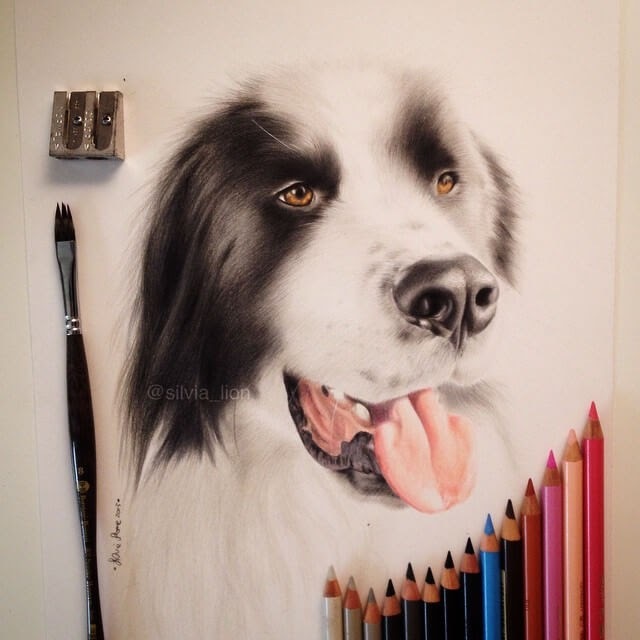 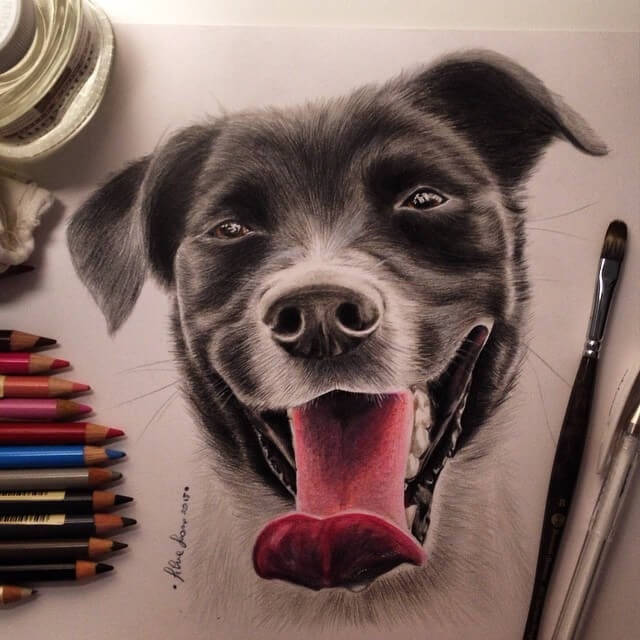 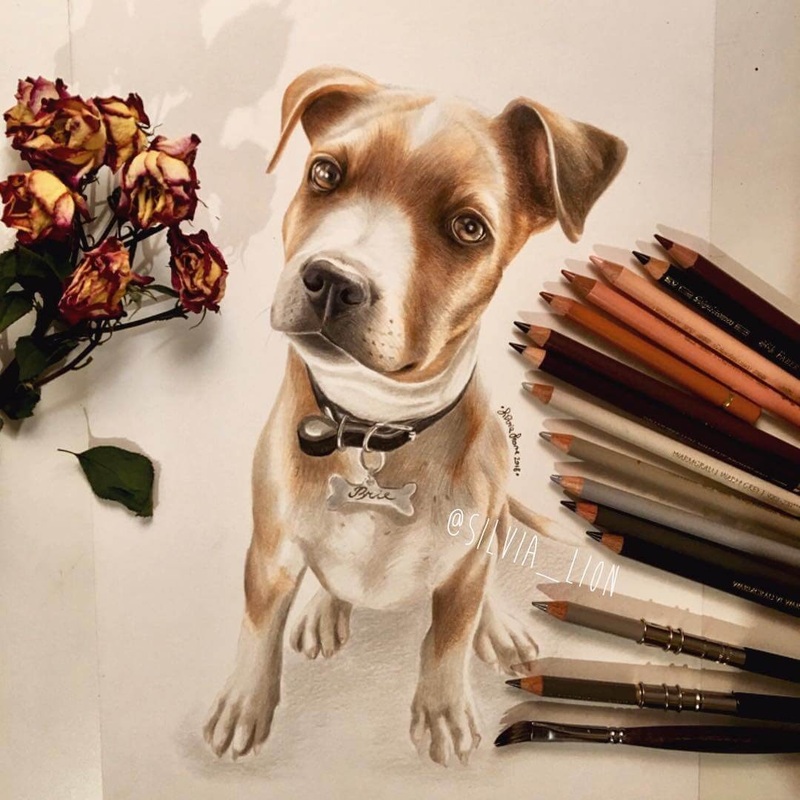 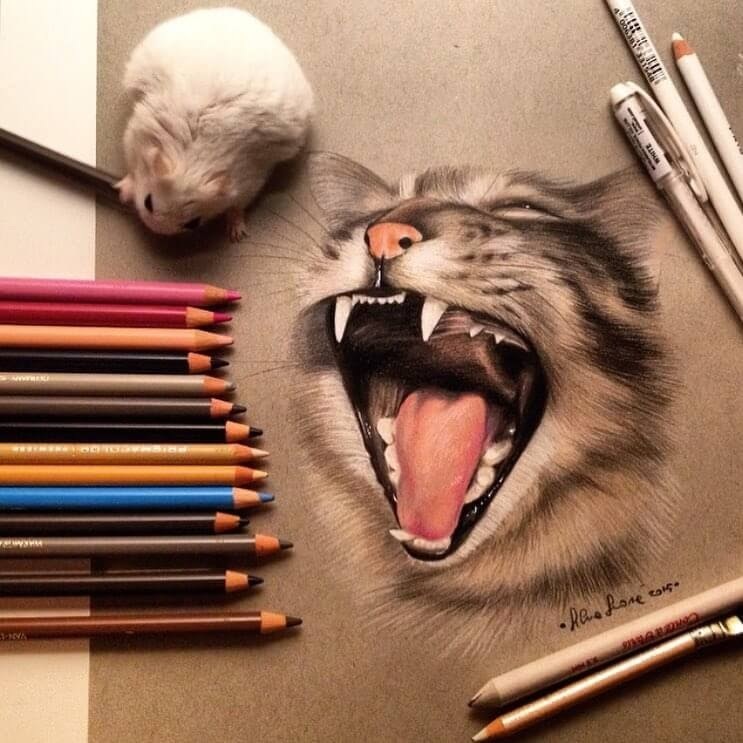 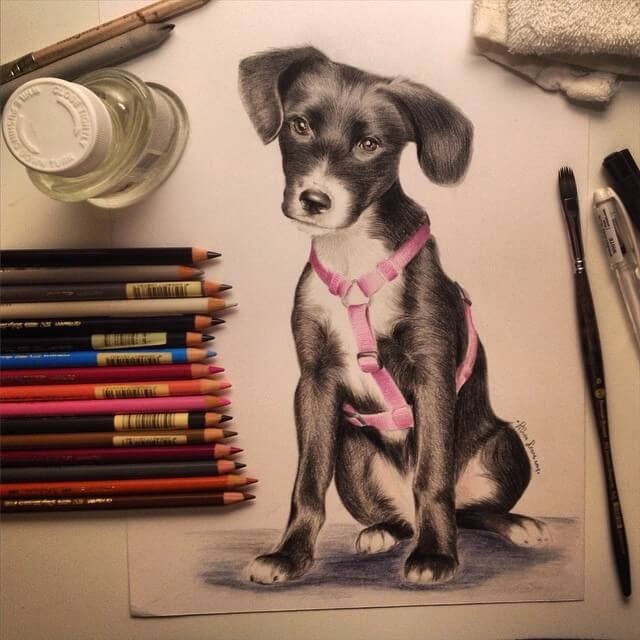 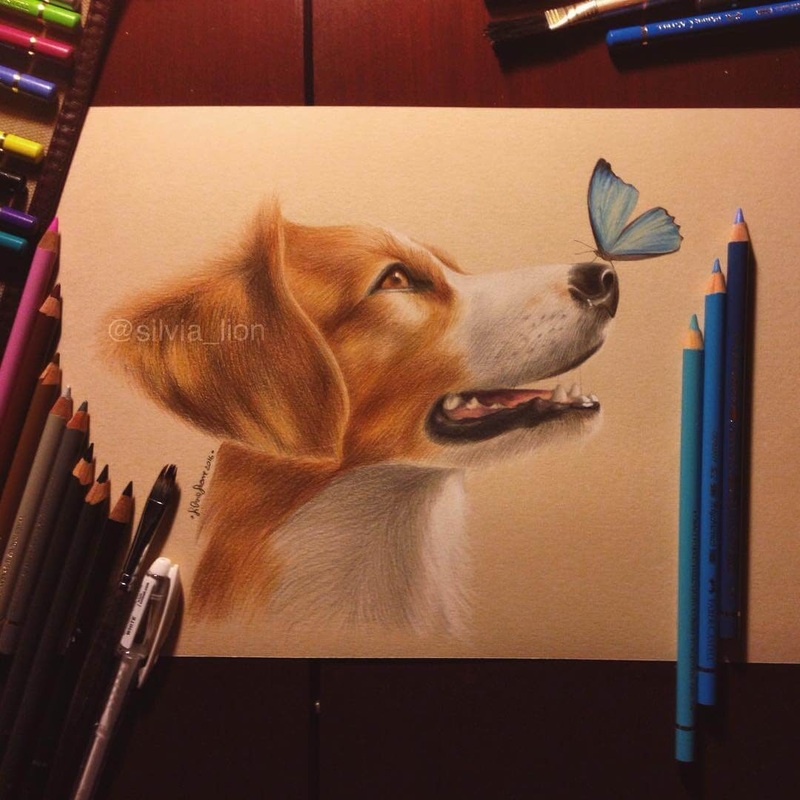 Great drawings of cats and dogs that remind us of our special bond with them.